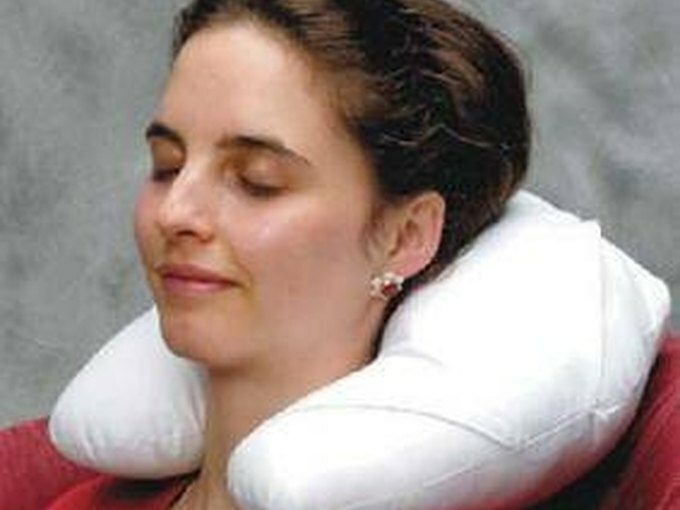 A neck pillow can be used while traveling, sleeping or even resting in a chair. The pillow supports and realigns the neck and upper spinal area into a proper posture curve to help relieve chronic and temporary neck pain. Consider firmness. Based on the recommendations of a physician, you will need to evaluate the firmness of the pillow you will be using. A softer pillow, for example, is good for temporary neck pain due to an injury or the sudden onset of pain from a long-standing condition. 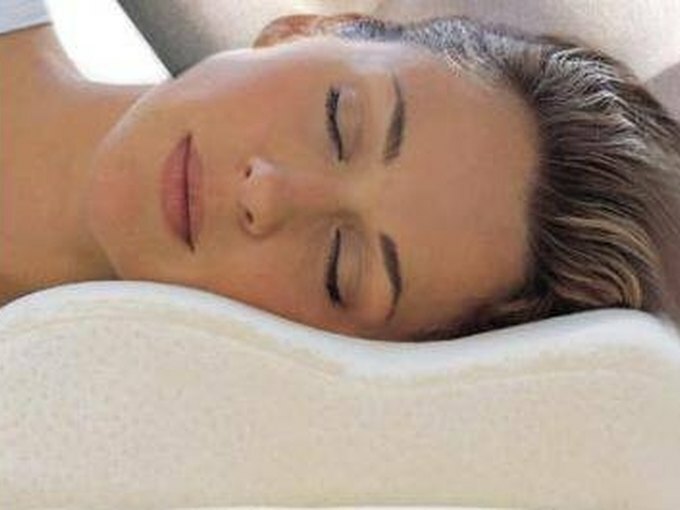 Firm pillows are recommended for chronic neck pain sufferers. Pillows can be filled with everything from memory foam to buckwheat hulls and should be chosen for the individual comfort they provide. Choose the proper thickness. Your neck usually needs the most support while you sleep. To find a pillow with the proper thickness, keep in mind the following recommendations: While lying on your side, your neck and head should remain horizontally level with your mid to lower back. While lying on your back, your neck and head should remain level with with your upper back and spine. * Your head and neck should not be propped up or tilted away from your body in any way. Place your pillow properly for sleeping. There are a variety of neck pillows available, but the basic premise is the same for all. The primary outward curve of the pillow should rest at the neck. 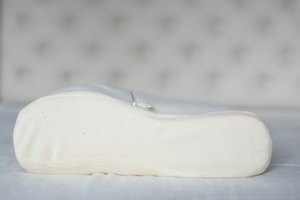 If you are using a "sleeping" pillow, you will note how your head naturally falls into the indentation in the pillow, which acts as a headrest. Place your pillow properly for traveling. Travel neck pillows resemble a U-shaped tube filled with foam or other stuffing. This U-shape provides additional support for your head and neck. Many also come with gel packs that offer a cooling sensation, lessening the effects of migraines and headaches. Place the opening of the pillow around your neck, nestling it into the base of your head. The U-shape should fit under your ears and above your shoulders, supporting your head and allowing the proper neck curvature. What Are the Causes of the Kink in My Neck?